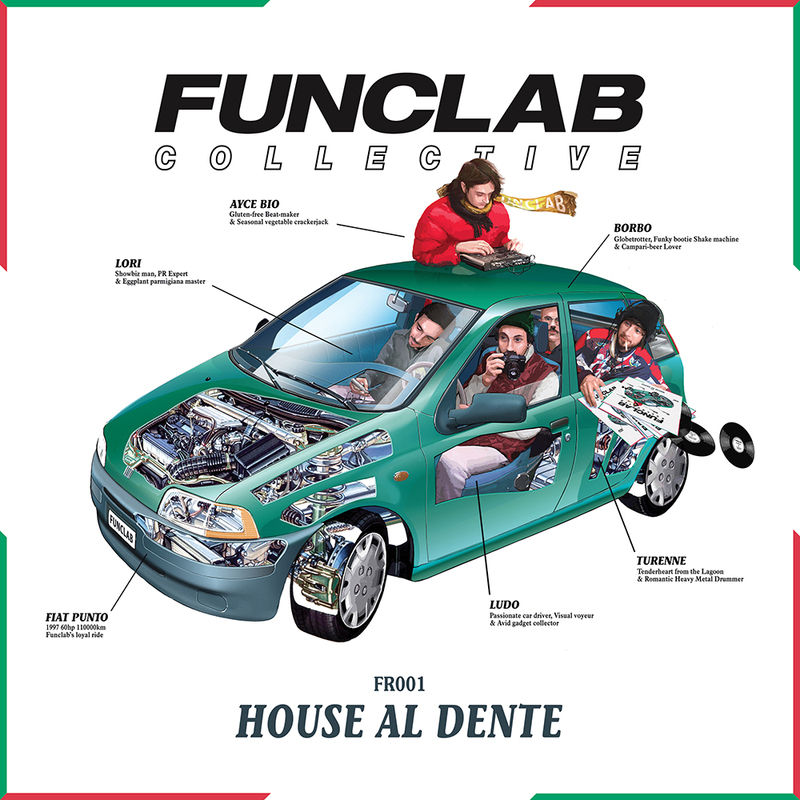 FUNCLAB Collective is proud to announce "House Al Dente", their first self-produced release. Sound designers, producers, DJs, promoters, and electronic music enthusiasts alike, FUNCLAB hail out of Milan, Italy. Ayce Bio, Borbo and Turenne have produced a track each: "Jazz Affair", "Your EX" and "1000 Punti". For them it’s all about mood and a deep, hypnotic groove… playing those tracks that get you tapping your feet and nodding your head without you realizing it, regardless of genre, tempo, style, or release date... don’t be surprised when you suddenly find yourself dancing! "Jazz Affair" started off from sampling a contemporary jazz and soul track. With a soulful timbre, the specimen develops followed by a dead-cut drum break that brings it closer to dub, alongside a cutting-edge hit hat house sound and a jazz Sax which could be considered the climax of this banger. Bass bridge funk ‘77 vibes and fast tempo piano sample turn this track into a proper groovy house tune. A broken rhythm which grows reaching a drop and allowing plenty of space for kick and bass lines, which are the leading elements of this song. A recorded jam session of an electric guitar played by using an Opto Compressor pedal, which gives it a warm vintage sound. The bass which is consistently repeated from start to finish comes from a sampling of a hip house disco from the 90s. The drums are the result of an 80s breakbeat with the addition of other drums in the post-production. A deep house drop can be found with kick and hat rising, continuing with variations and interludes on the same musical theme.